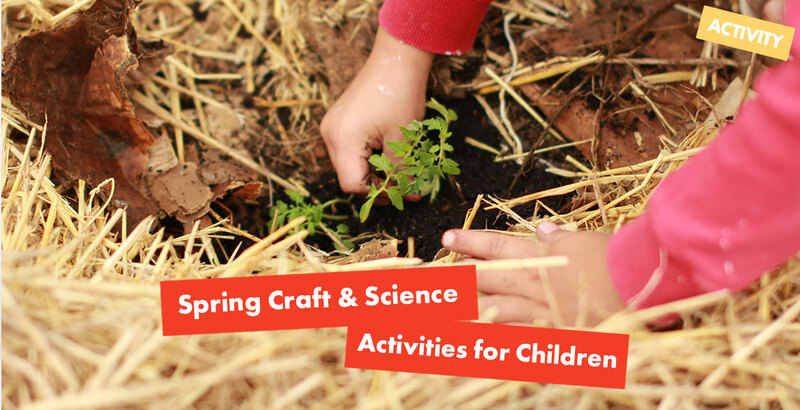 With the Easter holidays approaching and the weather warming up, it’s the perfect time to do some spring themed activities with your children; they’re a great way to teach young Messy fans all about the changing seasons whilst you spend some quality time together. On sunnier days, why not head out on a nature trail? Britain is teeming with wildlife at this time of year; bluebells, flowering wild garlic and daffodils are all in bloom; lambs, chicks and frogspawn signal new beginnings in the animal kingdom too. Make a checklist or simply ask your child to point out the signs of spring that they can see. 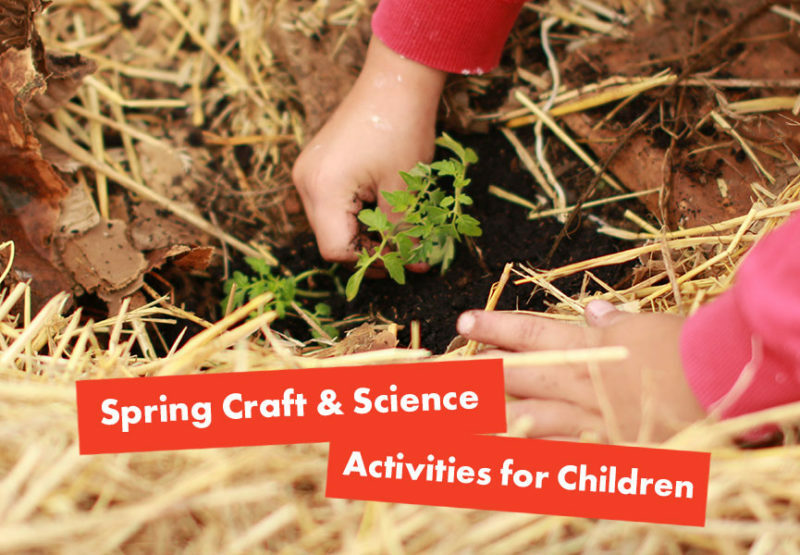 When it’s time to return home, or if April showers are keeping you indoors, these spring crafts and science activities will keep your child entertained. 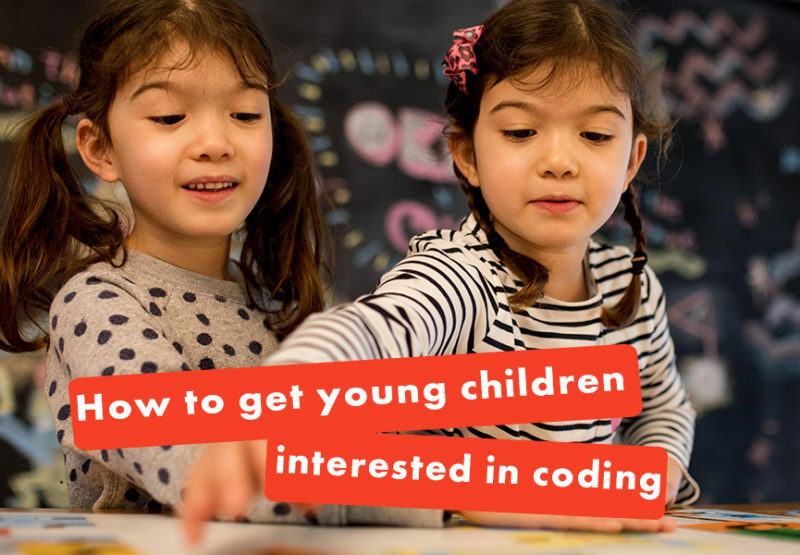 This is the perfect rainy day activity for you and your child to do together. And since showers are part and parcel of the season, it’s likely that you’ll be holed up indoors at some point during spring! When you’re finished, thread a piece of string through the cloud and display it in the window. 1) Draw a cloud shape on some thick white paper (18cm x 13cm approx) and cut out. 2) Trace the raindrop template provided and cut out. 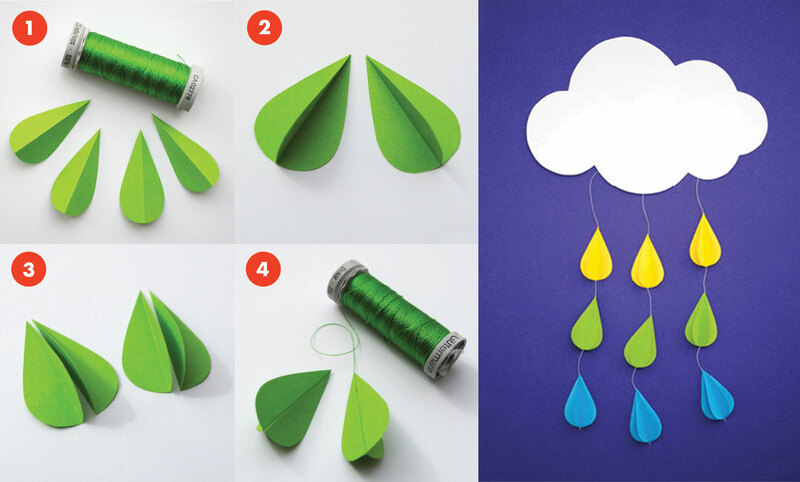 3) Place the raindrop template on some coloured paper and draw around. 6) Take a length of cotton (approx 30cm long) and glue one of the raindrop halves to it. Then stick the otherraindrop half on top. 7) I stuck three raindrops to each length of cotton. 9) Attach some string to the top of the cloud then you can hang the mobile from the ceiling! Teach your child about how plants change as they grow with this spring science activity. Note how long it takes for the seed to sprout; when the plant is potted, be sure to measure its growth week by week. By encouraging the plant’s longevity, you’re helping your child to engage with nature and understand what goes into looking after plants. 2. Cut some dish cloth to fit inside the plastic food bags. 3. 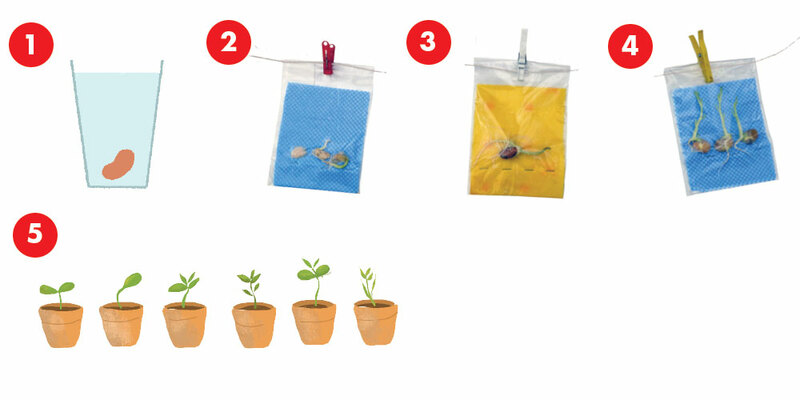 Staple the dish cloth to the plastic bag, leaving a few centimetres at the bottom for the roots to grow. 4. Add some water to the dish cloth to keep it moist. Then put a few beans in the bag. 5. Seal the bag and hang it near a sunny window. Watch the beans grow! 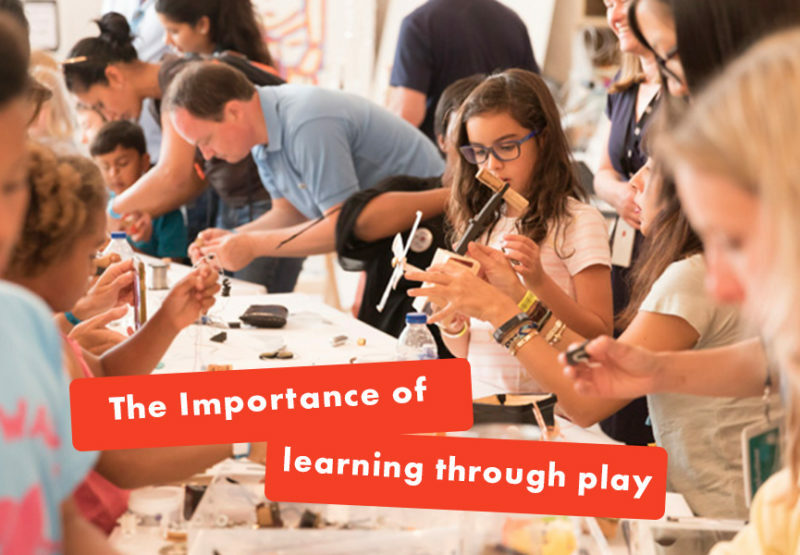 Terrariums are indoor “gardens” that can be used to show children how a particular ecosystem works. They’re also low-maintenance, space-saving ways to display plants in the home. The plants and soil in a terrarium release water vapour, which then collects onto the walls of the jar and trickles back down into the soil. In short, the water in a terrarium is constantly recycled, passing from liquid to gas and back again. Give your child a real-world example of how the natural environment is self-sustaining with this terrarium activity. Once it’s potted, encourage your child to take care of their terrarium. Place it in a bright area with indirect sunlight and keep an eye out for pests (especially if it’s an open terrarium); remove any yellow or brown leaves, and trim them if they start to overgrow. If the terrarium is closed, open the lid every so often to let in fresh air. A terrarium is like a microclimate: if you close the lid it can live on its own… with the lid open Water it and your Terrarium will live long!